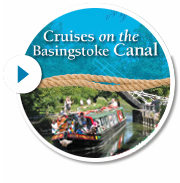 Woking Canal Festival – Much Positive Feedback…. Woking Canal Festival – What A Weekend! How The Basingstoke Canal Once Looked In Woking – Derelict, Decayed and Neglected…. Woking Canal Festival. Ok, so where is Brookhouse Common..?